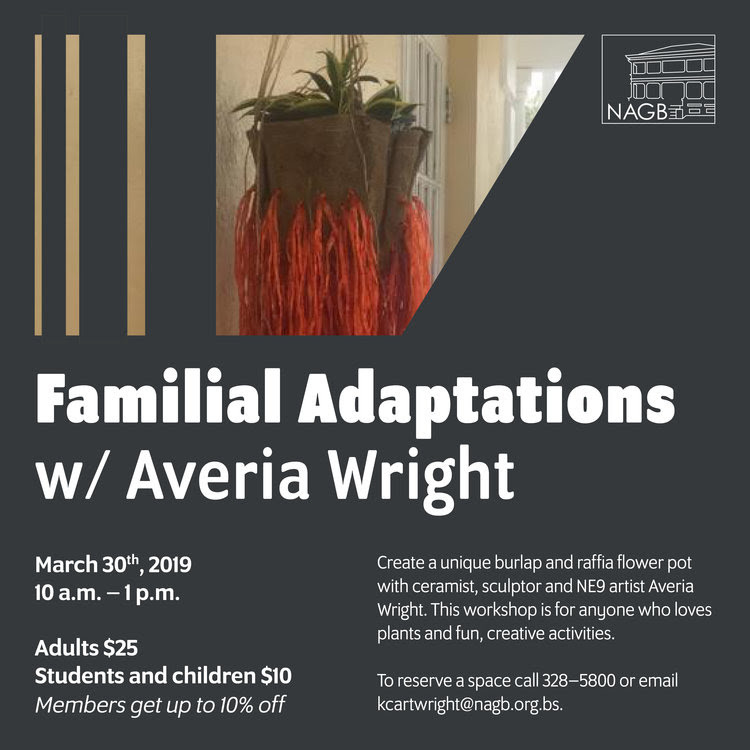 Create a unique burlap and raffia flower pot with ceramist, sculptor and NE9 artist, Averia Wright. 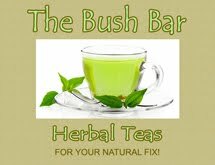 This workshop is for anyone who loves plants and fun, creative activities. To reserve a space call 328-5800 or email NAGB Education and Outreach Manager, Katrina Cartwright at kcartwright@nagb.org.bs. Recommended age for workshop is 8 years and up. Cost: Adults $25, Students and children $10. 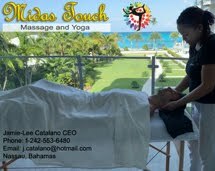 Members get up to 10% off. Make your unique flower pot with Averia! 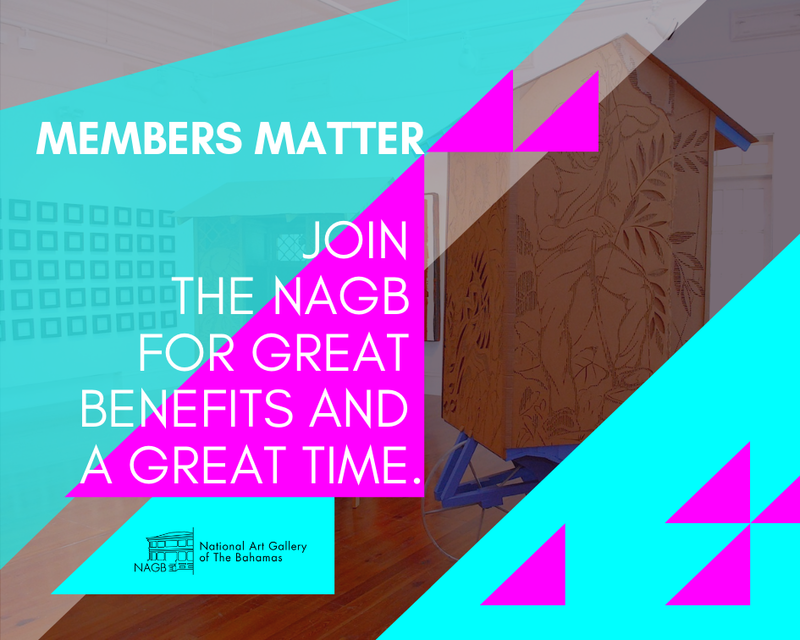 The NAGB presents the second instalment in our new Art, Culture and Exchange (ACE) Series, devoted to growing a healthy space for reciprocation, discourse and debate. 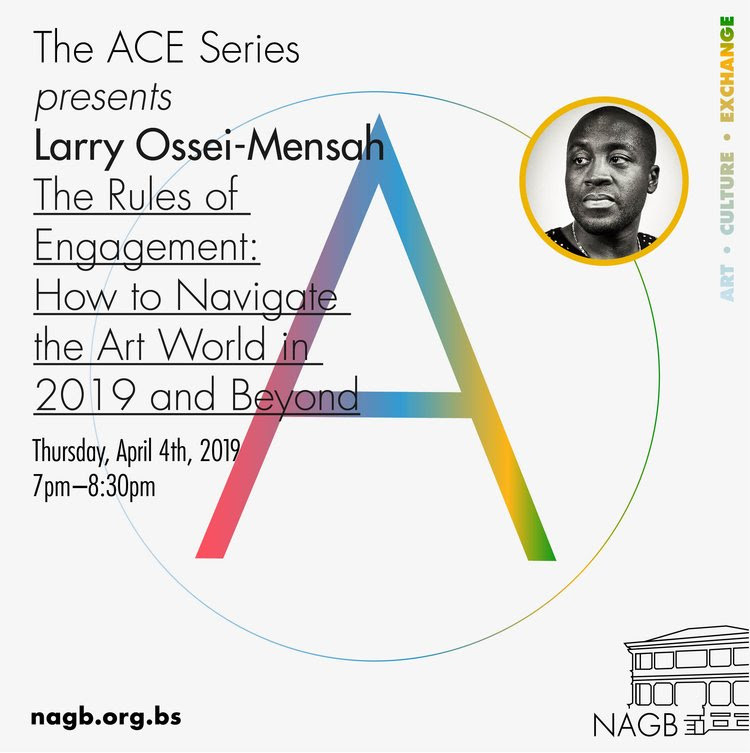 For our second lecture, we welcome Ghanaian-American curator Larry Ossei-Mensah presenting on “The Rules of Engagement: How to Navigate the Art World in 2019 and Beyond”. 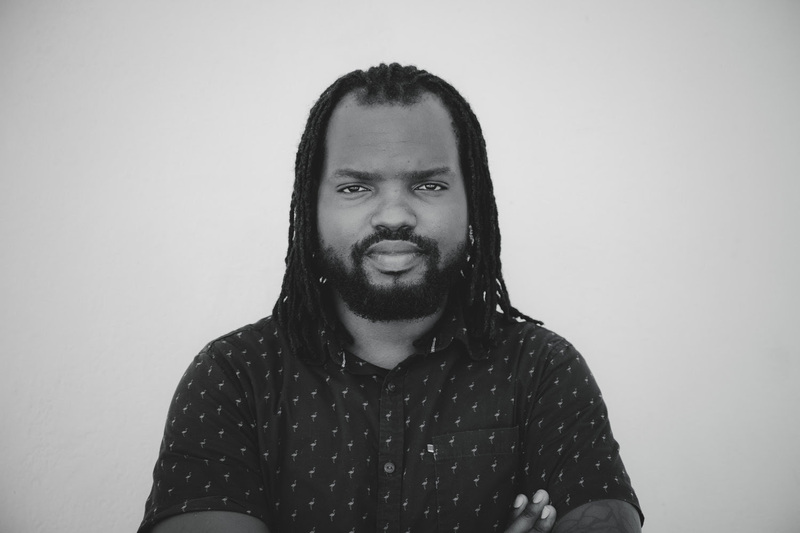 Ossei-Mensah has designed a presentation highlighting the various ways artists, curators, and other art professionals can better understand and negotiate "their" art world and ecologies. 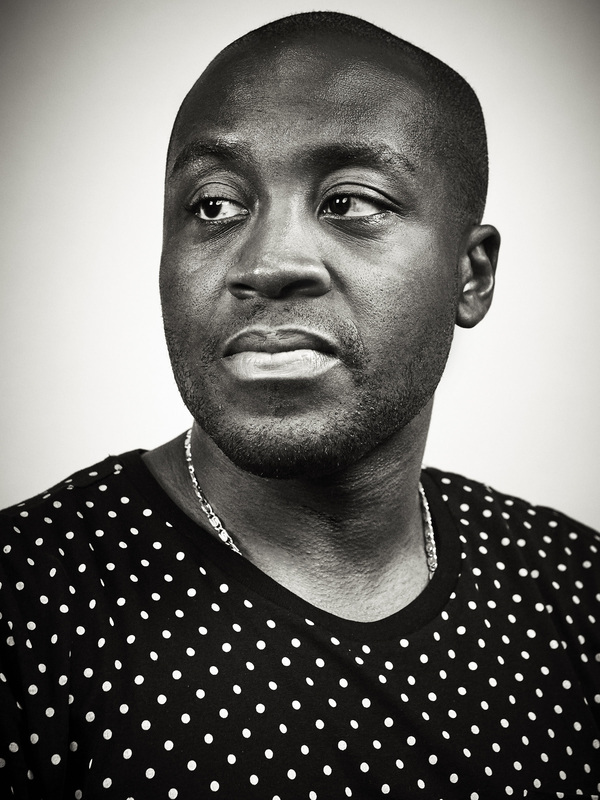 By developing strategies that highlight how "the game" is played and which mistakes to avoid, Ossei-Mensah seeks to share with the audience insights that he has amassed over the last decade to equip them with the tools and insights necessary to take more agency in their careers. Learn how to navigate the art world! 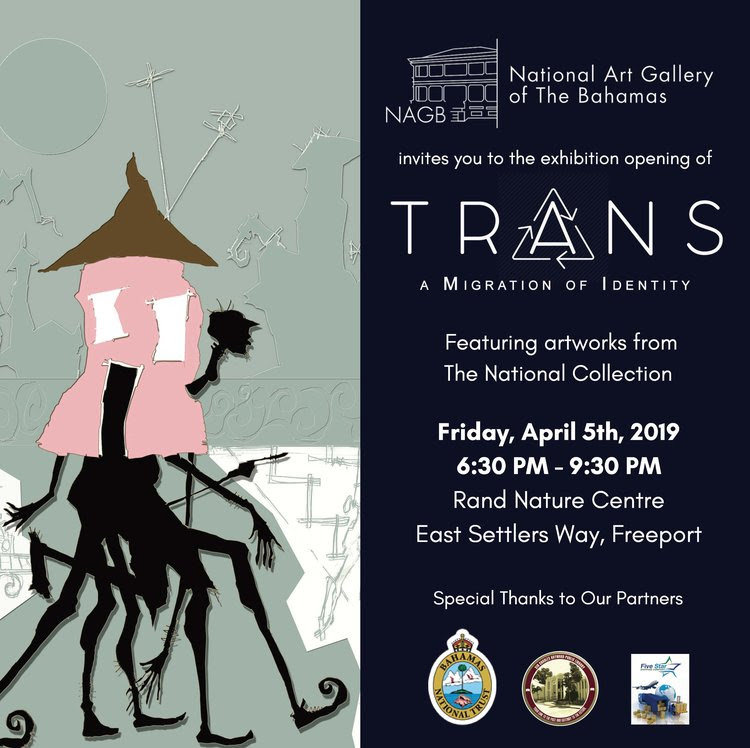 If you’re already in Grand Bahama or travelling there, join us at the opening reception for this very relevant exhibition at the Rand Nature Centre on Friday, April 5th at 6:30 p.m. And of course, participate in all of the FREE activities that will be facilitated for one full week by our knowledgeable and capable NAGB staff! For more details visit https://nagb.org.bs/. Following the opening of our Inter-island Travelling Exhibition (ITE), Trans: A Migration of Identity, we will host a lively discussion with Richardo Barrett, co-curator of the exhibition at the Rand Nature Centre on April 9th, 2019, 6:30 p.m. - 8:00 p.m.
Richardo is an assistant curator at the National Art Gallery of The Bahamas; he is responsible for maintaining and archiving the National Collection; planning and installing exhibitions and documenting Bahamian art. During his talk he will focus on his experience over the last four years, being a part of the curatorial team, along with building the permanent exhibitions and the process of curating Trans: A Migration of Identity. 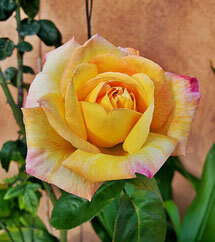 As we beautify our neighbourhoods, we share snippets! 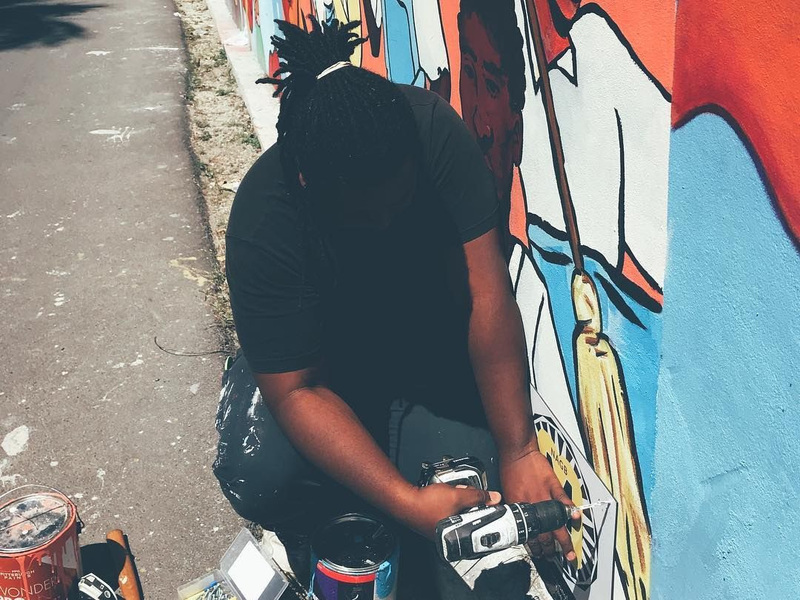 Four years ago, Deon “Slime”McHardy (1976-2017) took the first steps towards producing the “Wall of Respect” on Lewis and East Streets. The project has finally been continued and completed at the instigation of "Tranforming Spaces," which collaborated with various groups and supporters to realise the original vision. 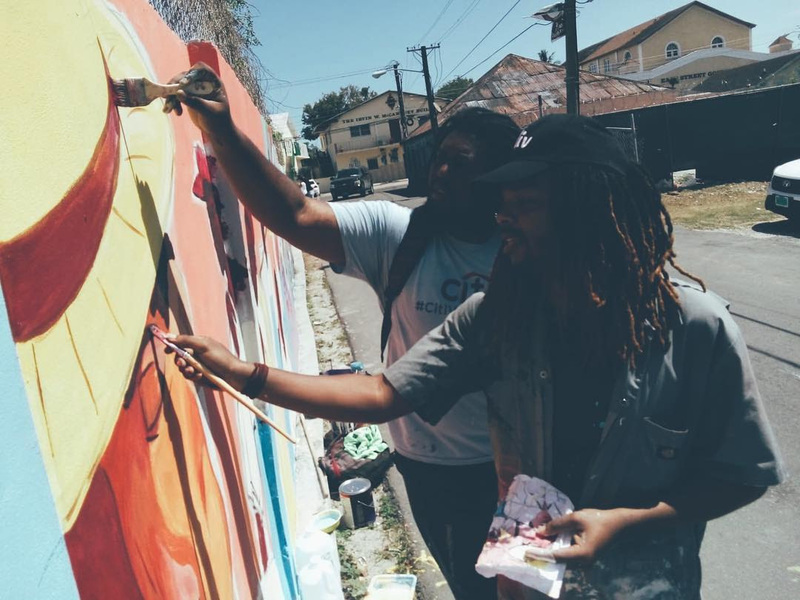 The NAGB’s intervention, entitled “Force of Labour”, saw the engagement of three young, emerging artists—Matthew Rahming, Amaani Hepburn and Jevon Thompson—as part of its Mural Programme initiative. 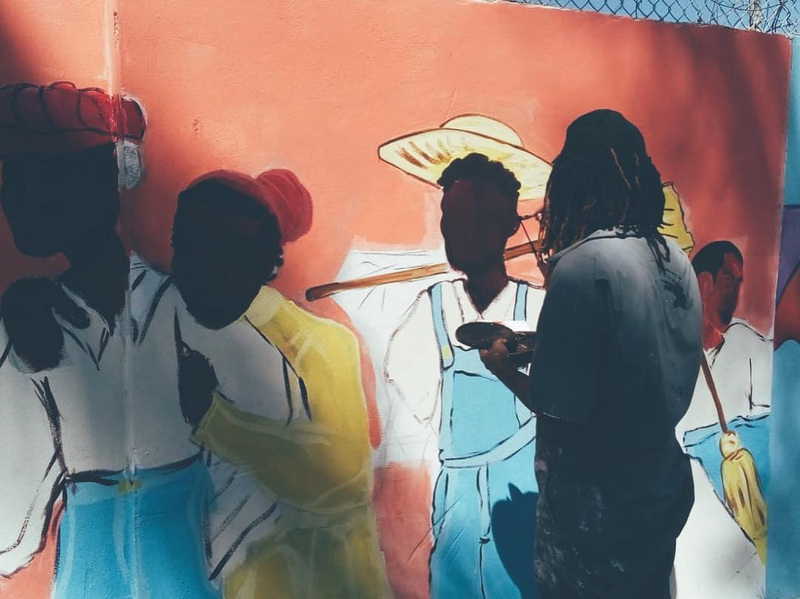 They were asked to design and paint a mural that speaks to the history of the Lewis Street community in Over-the-Hill. 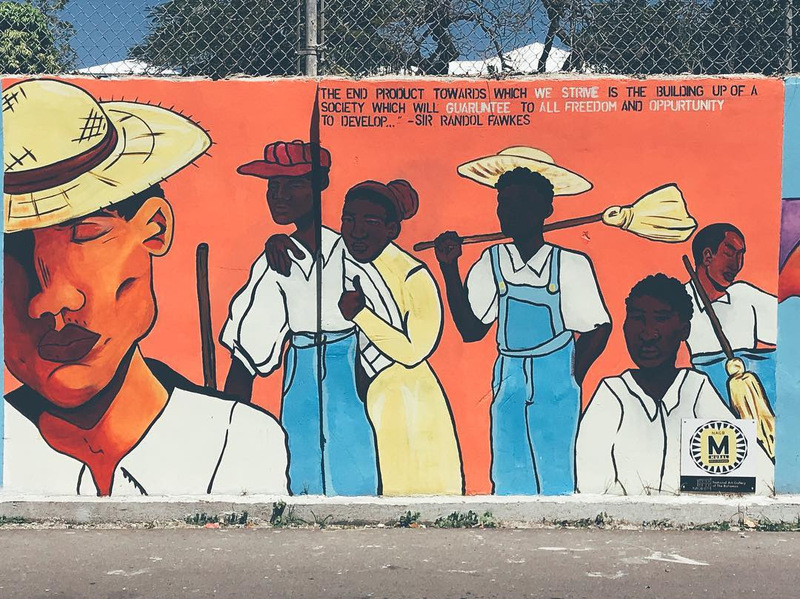 “Force of Labour” looks to the labour movement in The Bahamas and Sir Randol Fawkes, who resided in the neighbourhood. 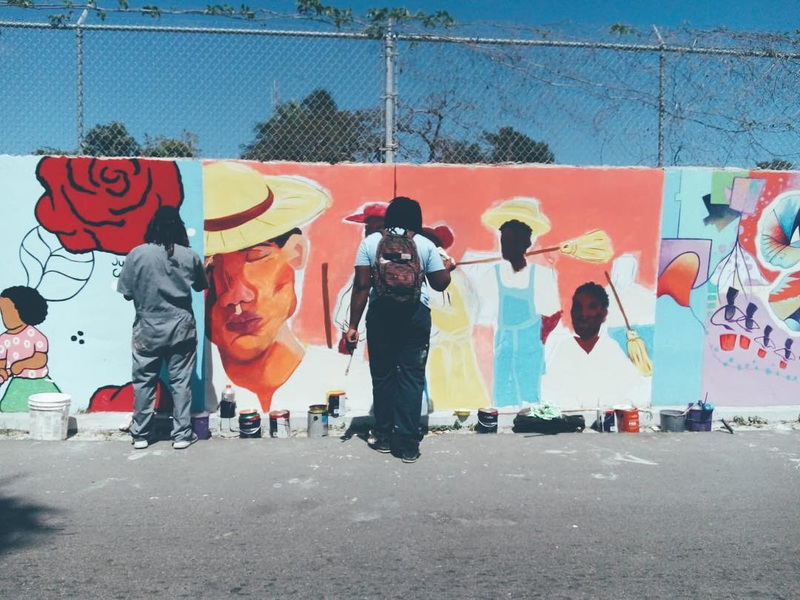 The unveiling ceremony will take place on Saturday, March 30th at 11:00 a.m., and the mural will also be part of the Transforming Spaces bus tour on April 6th and 7th, 2019. The NAGB presents NE9 Vignettes, presenting short videos of artists whose works are supported in "The Fruit and The Seed." 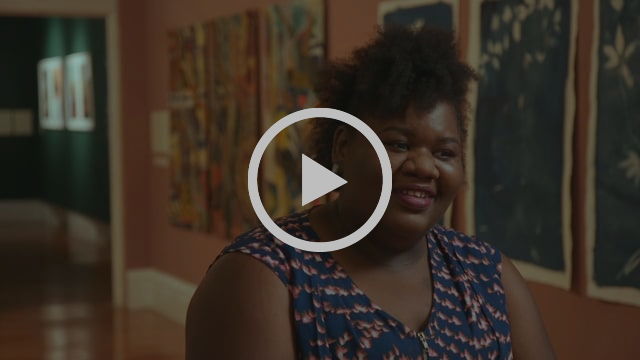 Averia Wright speaks about her sculptural based work through her relationship with the tourism industry and the material of tourism and sustainability. See "Elevating the Blue Light Special" before it comes down on April 7th, 2019.